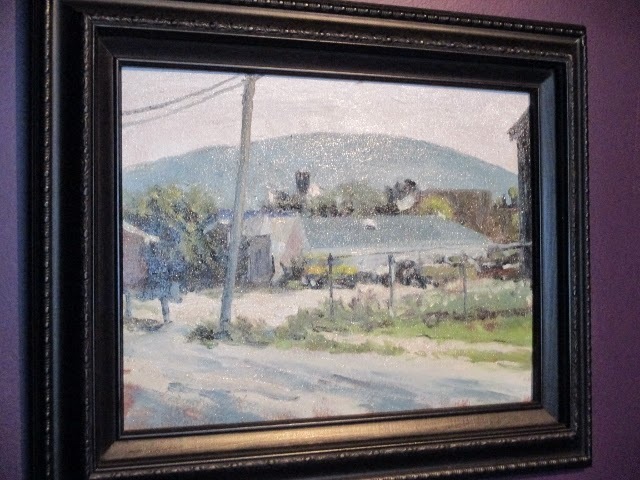 Matt Chinian Painting Blog: Pangea show is up! 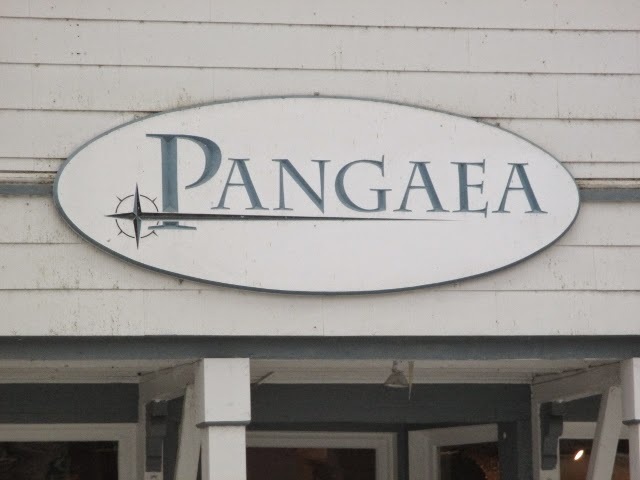 I just installed 10 paintings @ Pangea, 1 Prospect St. N. Bennington Vermont, they will be up until mid April. The restaurant is open at 5:00 everyday. The opening is this Saturday 5- 8:00. there will be Horderves and a cash bar, it should be a good time! 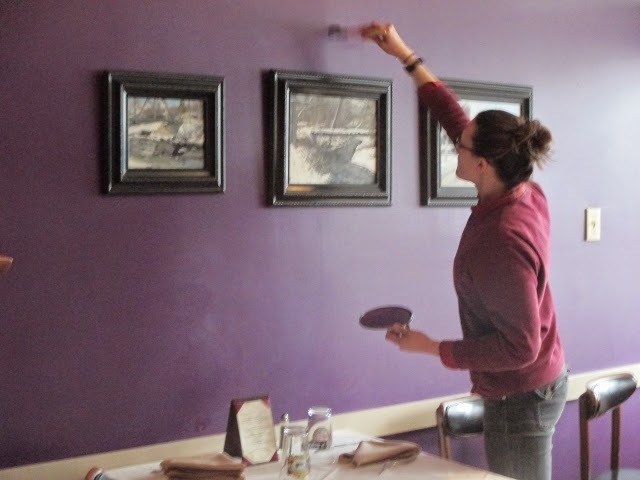 Jenny Hillenbrand, from Salem Art Works is touching up the walls. She's got a good eye for hanging a show, and was quickly able to see my paintings in the space so they made sense: this is an art to itself, I hope I didn't ruin it! The show is up for almost three months, and I'm sure will be seen by a lot of people. 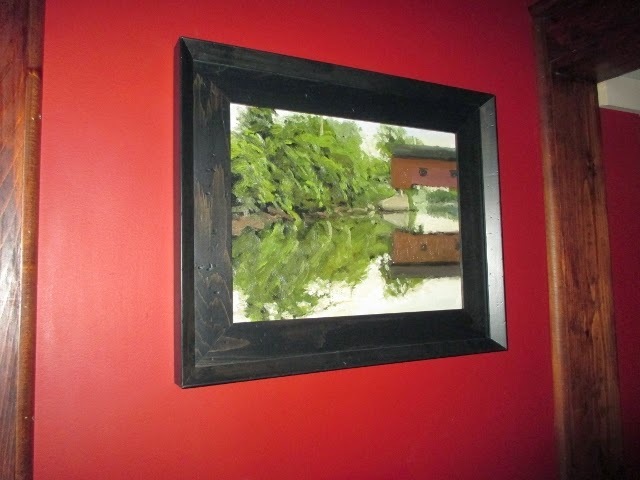 This painting won 2nd prize in the Bennington paint out on August 1st of last year. This is just down the hill from Bennington College, and I remember riding my bike down here in the fall of 1979. If you're nearby come and join us for the opening, or stop in some other day to see the work. 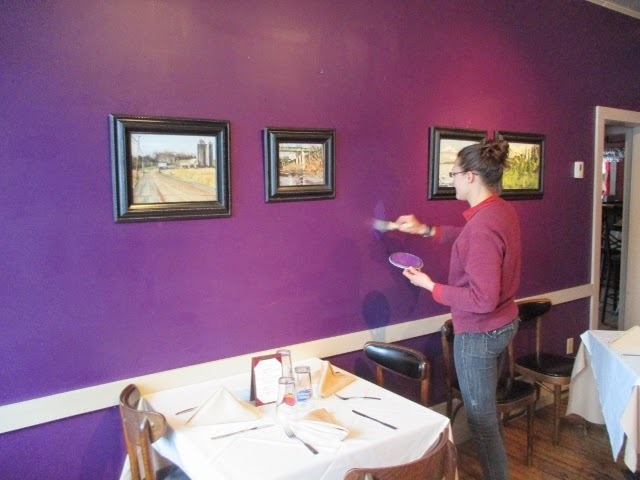 Harry Orlyk is showing in the dining room, a friend and mentor, I'm honored to show in the same place. 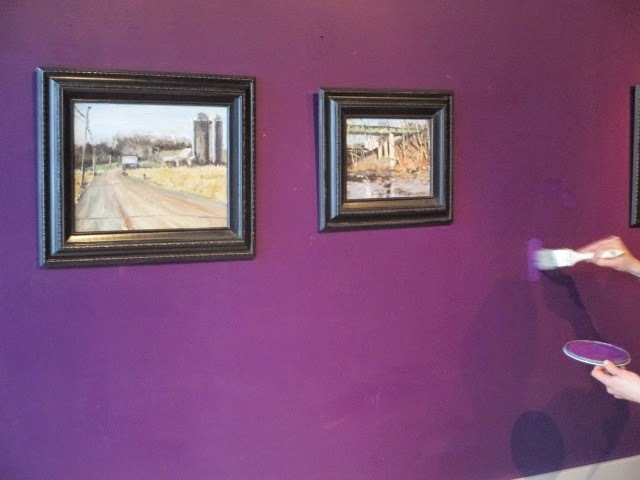 My work is about being in one place at one time and looking at what I see. This process I engage in, the choosing of the scene, composing and painting is straightforward enough. Indeed, I tell myself to “just get out of the way” so that the process of looking, mixing color, and placing it on the panel become second nature, without over thinking or being too self-conscious. You’d think this meditative process would lead to a nirvana-like state, and it does, but it’s not pure, it’s constantly fighting with real world thoughts and concerns: most often I am muttering profanities under my breath in an attempt to control what’s going on; I can’t and what you see here is what happened.